With a fleet of over 1,200 vehicles in the U.S., and a turnover of 100 to 200 vehicles per year, the employees at Apache Corporation know what it means to put a lot of miles on their trucks. About half of the current fleet now runs on natural gas, says Frank Chapel, Apache’s Director of Natural Gas Transportation Fuels, and the long term goal is to have 80 per cent comprised of light and medium-duty natural gas vehicles (NGVs). Apache is a natural gas, crude oil and natural gas liquids exploration and production company that operates in several U.S. states including Texas, New Mexico, Louisiana and Oklahoma, as well as in Canada and around the world. The company’s natural gas fleet includes Westport WiNG™ Power System Ford F-250 bi-fuel trucks which use compressed natural gas (CNG). 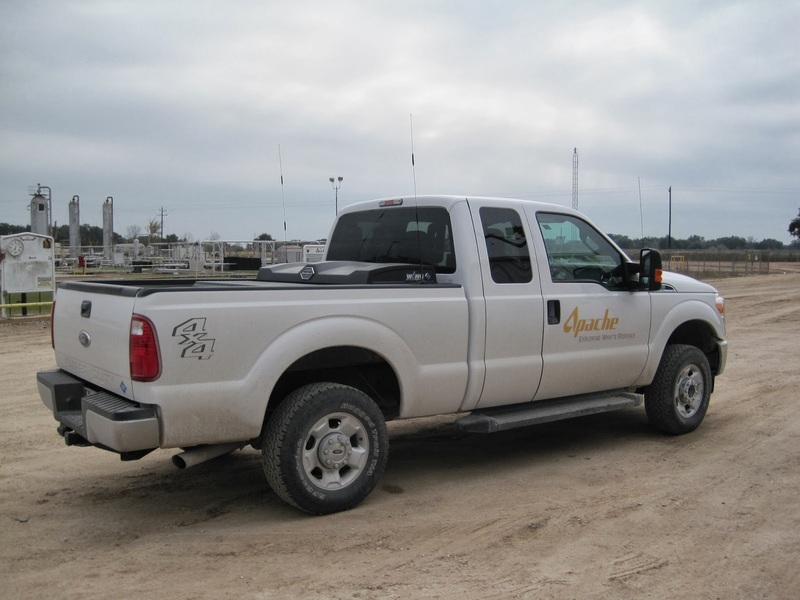 The pickups are used primarily by Apache employees in the field to support their exploration and production activities. To support the company’s fleet transition to natural gas, Apache has constructed 19 CNG fueling stations – seven of which are open to the public. The public stations are currently selling in the range of about 2,000 gasoline gallon equivalents (GGE) per month to over 26,000 GGEs, with all locations experiencing increased monthly sales volumes. The remaining 12 private CNG stations are available to other area fleets that have a CNG bulk sales agreement with Apache; currently eleven other companies’ fleets are fueling at one or more of these private stations and another 19 are reviewing the company’s bulk sales agreement. Two of the public stations, both located in Midland, Texas, are a collaboration with convenience store chain retailer Stripes. 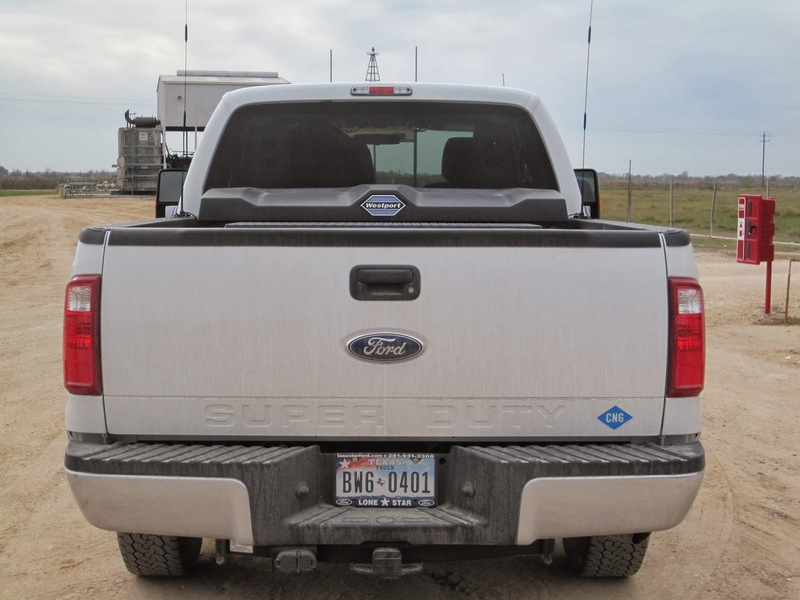 Another facility, which opened on December 4th 2013, is a partnership with UnitedAg and located at their conventional fueling station in El Campo, Texas. Building stations and converting its own fleet aren’t the only things Apache is doing to promote the use of natural gas as a transportation fuel. The company also offers an incentive program for employees who purchase NGVs, covering 50 per cent of the extra initial cost. In addition, each participating employee receives a U.S. Bank VISA card worth $5,000 toward future CNG fuel purchases. Frank says Apache is pleased to see more original equipment manufacturers offering NGV options. “This ever-increasing number of available natural gas-powered vehicles further promotes natural gas as the alternative transportation fuel of choice—it’s clean, abundant and domestic,” he said. What’s Better than Cheap CNG? Free CNG!